Posted September 22nd, 2018 - News Posted for ISA News, Japan News, World Surfing News. To access video highlights, video news releases, and high-resolution photos, click here. To view full results, click here. 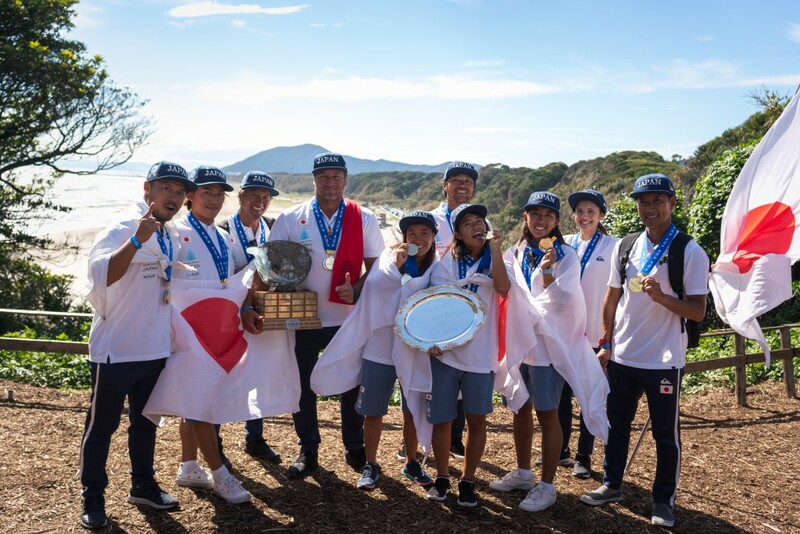 After an epic week of competition, the host nation Japan historically earned the Team Gold Medal at the 2018 UR ISA World Surfing Games (WSG) in Tahara, Japan. Led by the individual Silver Medal performance from Kanoa Igarashi and Copper Medal from Shun Murakami, Team Japan withstood final pushes by the women from Team USA and Australia to emerge victorious on their home turf. The Gold Medal for Japan is their first WSG medal in history. The all-around, excellent performance put on by Team Japan shows how far the sport has progressed and grown in the country since Olympic inclusion. In 2017, Japan finished with their best result to date at the WSG with a fifth place, shattering that benchmark with the Gold in 2018. The Team Silver Medal went to Australia, the Bronze to USA and the Copper to South Africa. 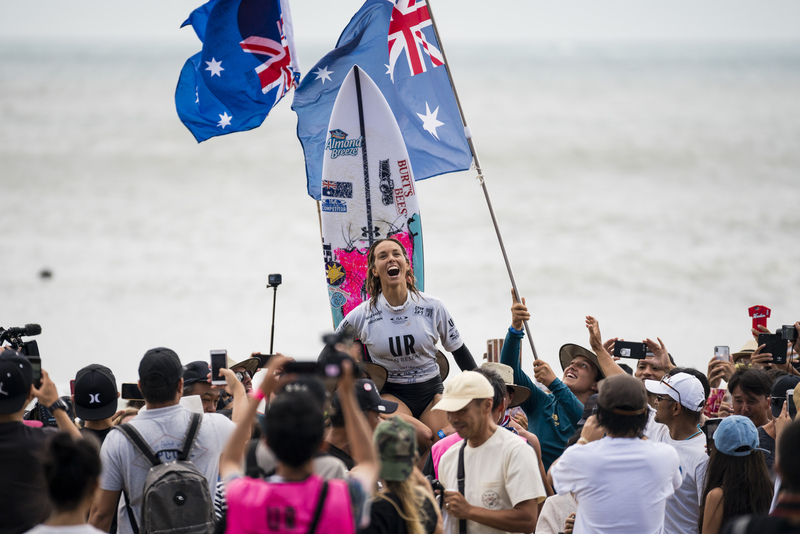 Australia’s Captain Sally Fitzgibbons put on an incredible performance in the Women’s Final, earning two waves in the 9-point range to take the Gold for her nation. The Title for Fitzgibbons comes a decade after she last won the WSG at the 2008 edition in Portugal. “It is the biggest buzz to bring the Gold back to Australia!” said Fitzgibbons. “It’s so meaningful to me to surf against my mates that I’ve known for as long as ten years. We all work so hard, so to share a heat with them under the green and gold flag is amazing. “The Japanese crowd has been excellent. They are the biggest surf fans. It has been such a pleasure to come here and compete for them. Following Fitzgibbons was New Zealand’s Paige Hareb with the Silver, South Africa’s Bianca Buitendag with the Bronze, and USA’s Summer Macedo with the Copper. The Bronze for Buitendag follows up on her 2017 Copper performance in Biarritz, and the Copper for USA’s Summer Macedo solidifies her as one of the elite, up-and-coming surfers in the world after earning the ISA Junior Title in 2015. At stake in the final Women’s results is qualification for the America’s in the Lima 2019 Pan American Games. Summer Macedo (USA) qualified as the top finishing American, and a potential second slot would go to Zoe McDougall (USA), contingent that Team USA finish in the top two slots at the 2018 PASA Games. USA’s Caitlin Simmers, who finished with an equal ninth place with McDougall, is not eligible to qualify due to not being born before 2004. Given her stellar performance this week at just 12 years old, there surely will be more appearances in her future in Olympic Movement events. Joining Macedo at the Pan Ams will be Argentina’s Santiago Muñiz and USA’s Kevin Schulz, who qualified as with the top two slots in the Men’s Division, and Peru’s Lucca Mesinas, who earned one of the two host country allocations for the Men. “This is a truly a momentous occasion for the history of Surfing, as we have seen Team Japan assert themselves as one of the emerging, global powerhouses of the sport. Japan has a strong, rich surfing culture and the timing could not be better for them to win the Gold with the Tokyo 2020 Olympics fast approaching. “2018 will stick in our memories for many reasons, as we saw the epic waves that the Japanese coastline can provide, we saw the progression of women’s surfing with the first edition to feature gender equality in competition slots, and we saw the talents of new and solidified stars of Surfing who rose to the occasion on a global stage.